Over 40 percent of Russians think that Western nations perceive their motherland as a competitor, while 30 percent think Russia is viewed more as a foe by the West, according to a recent public opinion poll. 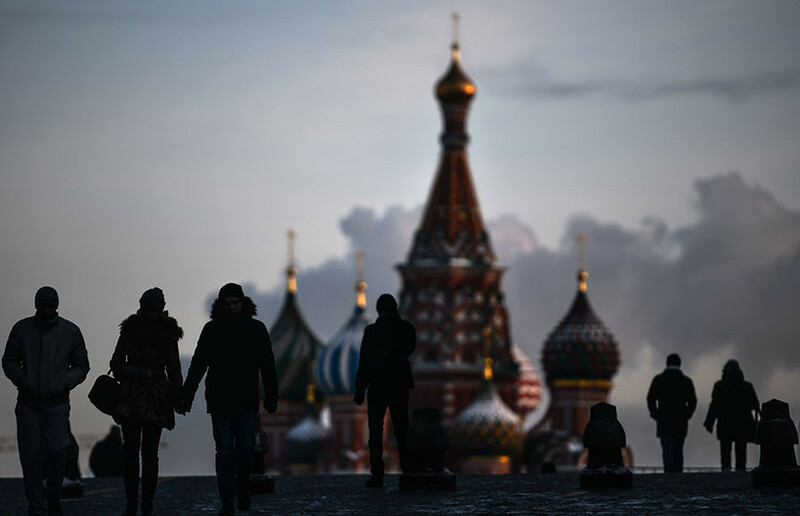 Thirty percent of Russians said that, in their view, Western countries treated Russia as an enemy, while 15 percent said that relations were an equal partnership. Five percent of participants in the poll answered that Westerners did not have any special approach to their country; four percent said that the West treats Russia as a friend. The research was conducted by the independent polling service Levada-Center in January this year. It also showed that the number of Russians who consider their country to be one of the most influential states in the world has increased from 27 percent last year to 36 percent. This year 25 percent of respondents said that the Russian economy was not developed enough for the country to be included in the list of leading nations. Four percent of respondents said that they blamed the resistance of Western states for Russia’s lagging behind, and three percent thought that the main reason was in the lack of democracy in the country or, on the contrary, the lack general stability in Russia’s political system. Twenty-six percent of those polled could not answer the question. At the same time, 54 percent of respondents think that Russia should strengthen ties with Western nations, compared to 40 percent a year ago; 33 percent hold the opposite opinion, and believe it would do Russia good to further distance itself from the West. Levada researcher Karina Pipiya said in comments with Izvestia daily that in 2007 and 2008 – when the Russian economy was booming – the number of citizens who thought that the West considered Russia mostly as a competitor also peaked. Over the past year, as the state of the Russian economy and the well-being of its citizens has decreased, the share of people with this view has also fallen. Pipiya added that the growing share of those who support stronger cooperation between Russia and the West could be explained by the fact that the main causes of negativity – the conflict in Ukraine and the Western sanctions introduced in reply to Crimea’s accession into the Russian Federation – were no longer big news, and there was less anti-Western sentiment in the Russian mass media. The researcher pointed out that the average Russian believes his country and the rest of the leading world nations now have a common enemy – the Islamic State terrorist group (IS, previously known as ISIS and ISIL).